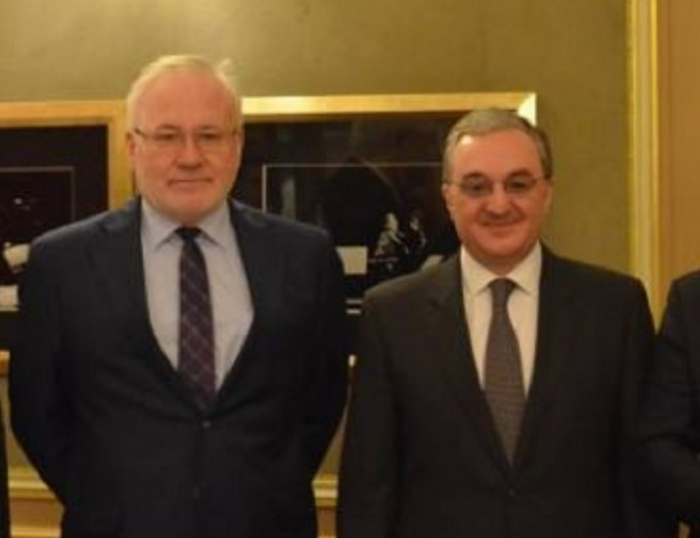 The Foreign Minister of Armenia, Zohrab Mnatsakanyan, held a meeting with OSCE Minsk Group Co-Chair Igor Popov in Moscow on March 22, AzVision.az reports citing the Armenian media. This secret meeting was held with the objective of organizing preparatory work before the meeting of the Armenian Prime Minister Nikol Pashinyan and Azerbaijani President Ilham Aliyev to be held in Vienna in the coming days. “In the run-up to the meeting between the RA Prime Minister and the Azerbaijani President, Minister Mnatsakanyan has held consultations with the OSCE Minsk Group Co-Chairs, which the consultations will continue also on March 28,”, the Ministry of Foreign Affairs of Armenia told the Armenian media.